A lot of people I know in the blogosphere have a day job… me too. Mine is at EMC in Hopkinton Massachusetts as a marketing guy – so feel free to connect with me here. With that said, I’ve got a buddy from work that is running the Boston Marathon and I wanted to tell you about him. 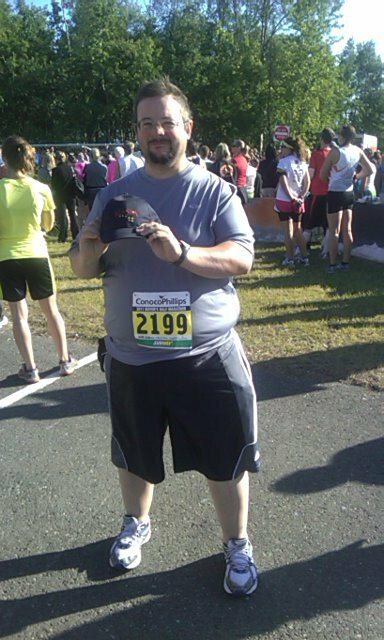 He’s a competition BBQ pitmaster and a big guy – so running wasn’t really on his regular list until he volunteered to run for EMC. 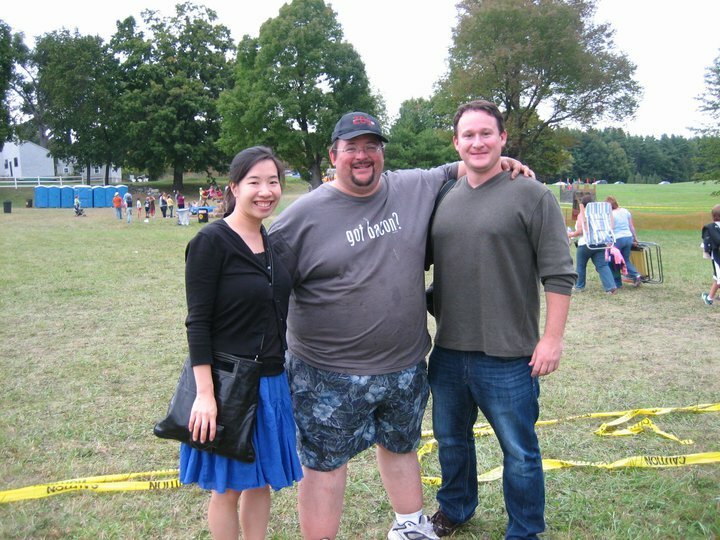 Now he’s lost over 100 pounds and seeking a little extra support to raise money for a great cause. Question: Tell us about your BBQ Team? A: In the summer of 2005, my buddy Chris Clegg bought a Weber smoker at a hardware store, on sale, end of season discount. He started making beer can chicken and kept bugging me to try it. I wasn’t really interested. One day be brought the smoker to my house, along with chickens and charcoal to show me exactly what the big deal was. I was hooked after that. That Christmas I said “Hey, why don’t we compete, like on the Food Channel” The first competition we did was in Rhode Island. A: We finished middle of the pack – not bad for a rookie debut, My wife asked us “Did you actually expect to come in first?” We kind of did. It took us six seasons after that to win our first Grand Championship. A: The Kansas City BBQ Society is our governing body – so each contest is judged on appearance, taste and tenderness. The required meats are chicken, Pork Ribs, Pork Shoulder, and Brisket. Q: Do you make your own sauce? Q: What is your best meat? We have done really well with brisket last year. We never got a first place Pork. Q: How did the team do last year. A: We won our first Grand Championship, it was quite exiting, only took six years of hard work to get there. We hope to be going to the American Royal this year as a result. It is know as the “World Series of BBQ”. Q: So how does a Pitmaster end up running the Boston Marathon? The second reason is Graduation day. Over the past year I have been on a personal journey to get in better shape through a serious weight loss effort. I have lost over 100 pounds. This event represents the capstone of that effort for me. And finally, I am running in memory of my friend Brad Steckline, a colleague and close friend of mine who died the day before Thanksgiving this year. Last year when I was losing weight and he constantly encouraged me to keep pushing on, providing endless encouragement. He promised to cheer for me if I won a spot on the EMC team. I am dedicating the run to his memory. A: I have a “non qualifying charity number”. This means that I agree to raise money for the Respite Center in exchange for the privilege of running the race. The BBQ community has been especially generous. Those interested in making a donation can click on my page here http://www.razoo.com/story/Paul-Zonfrillo-S-Boston-Marathon-Run-For-The-Michael-Linslow-Respite-Center . Any amount is appreciated, I’ve still got a ways to go.